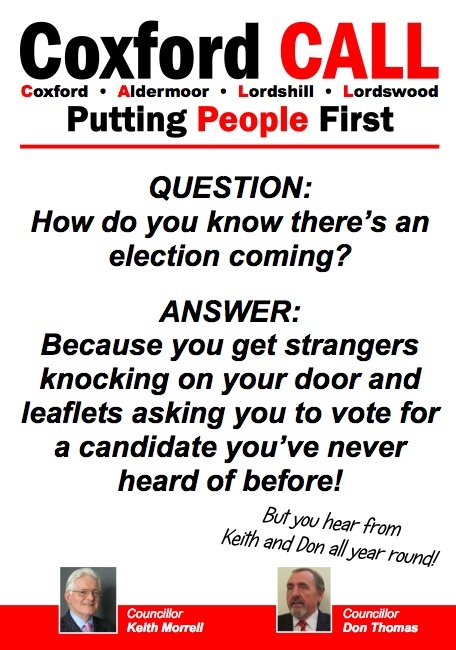 Because you get strangers knocking on your door and leaflets asking you to vote for a candidate you’ve never heard of before! Councillors Keith Morrell and Don Thomas, the anti-cuts group on Southampton City Council committed to opposing all cuts in jobs and services. We campaign for the government to provide full funding to meet the needs of the city and restore funding cut since 2010.